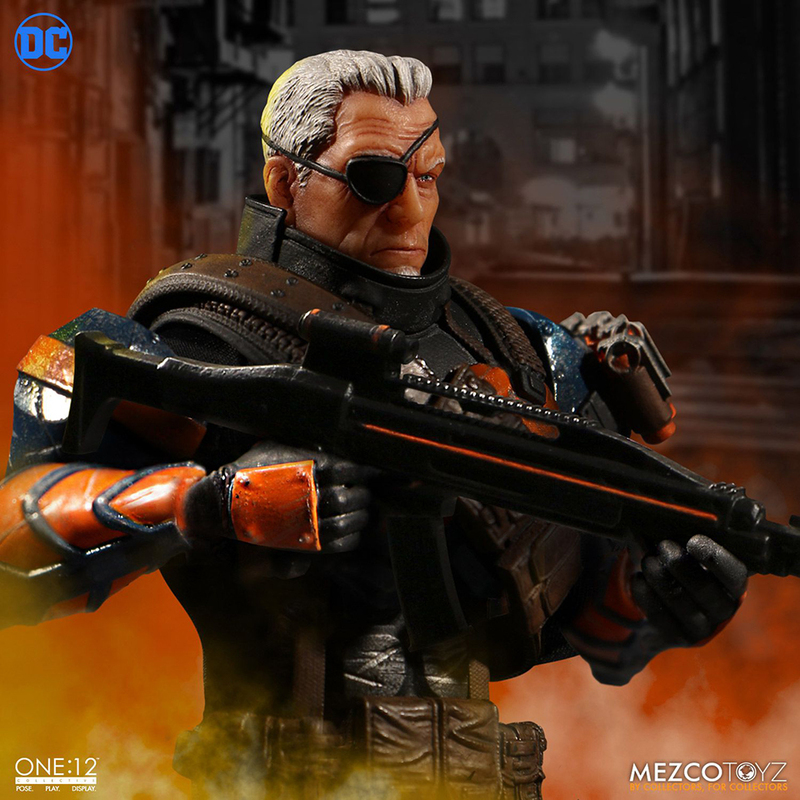 The popular one-eyed assassin joins Mezco Toyz’s 12th-scale line. 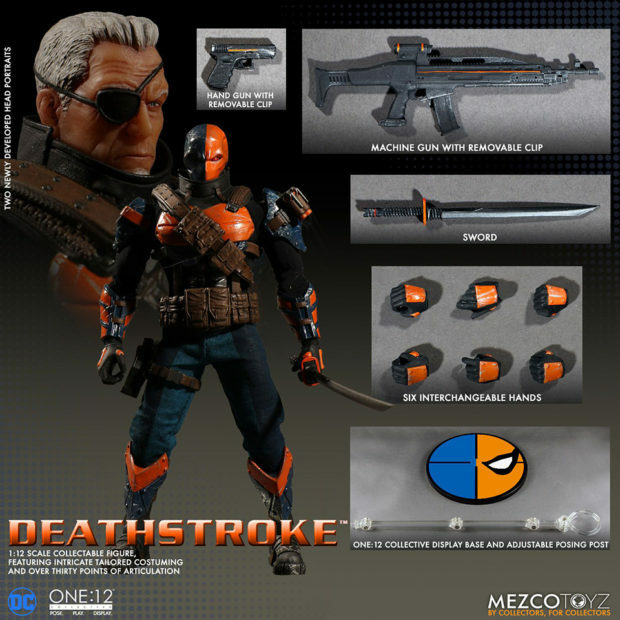 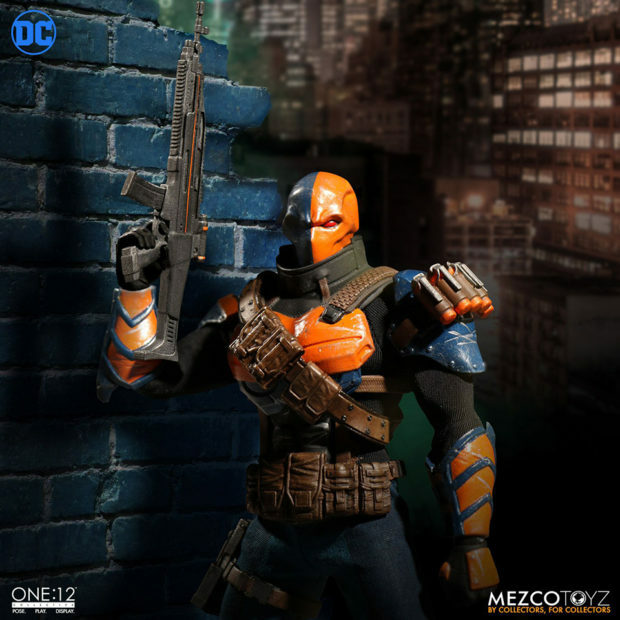 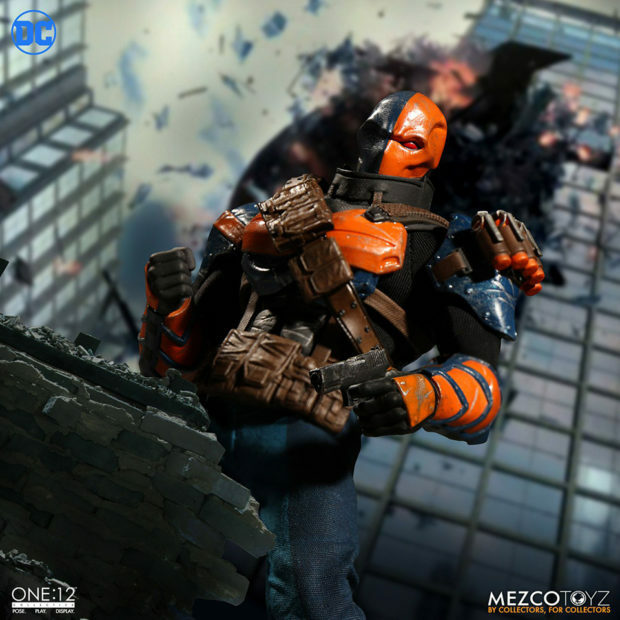 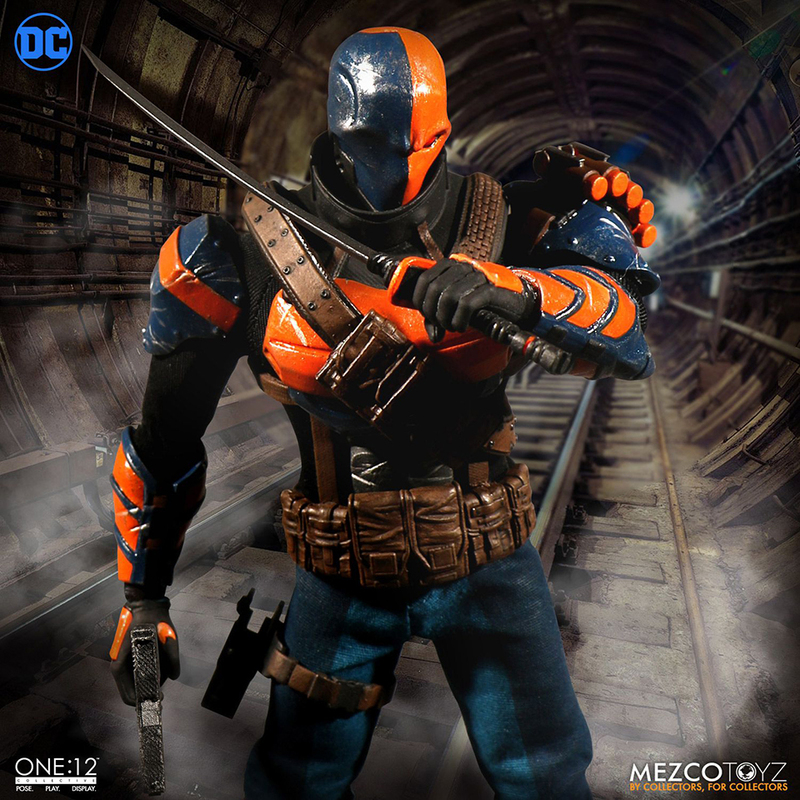 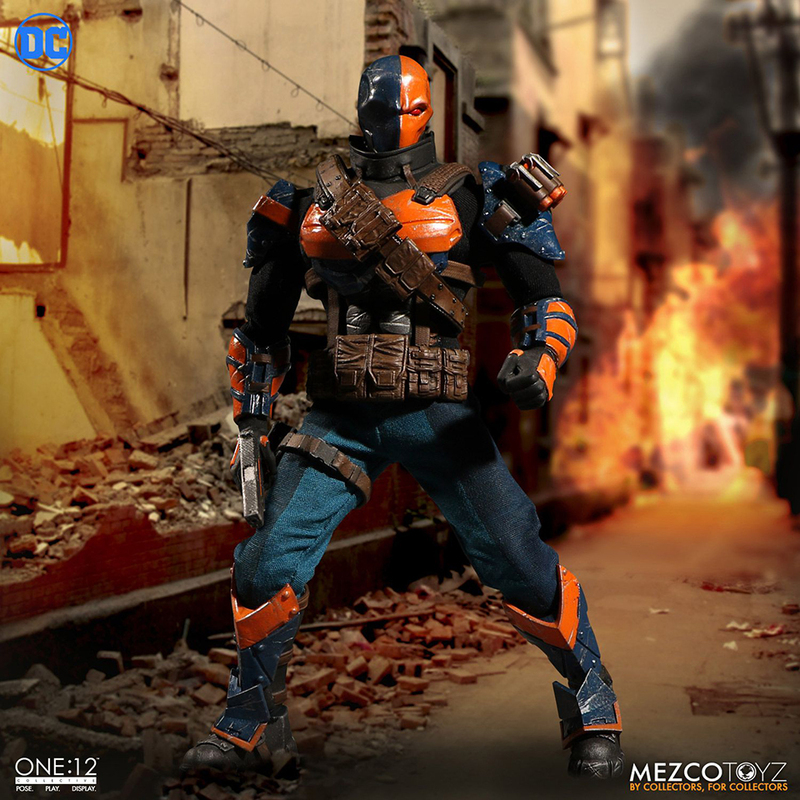 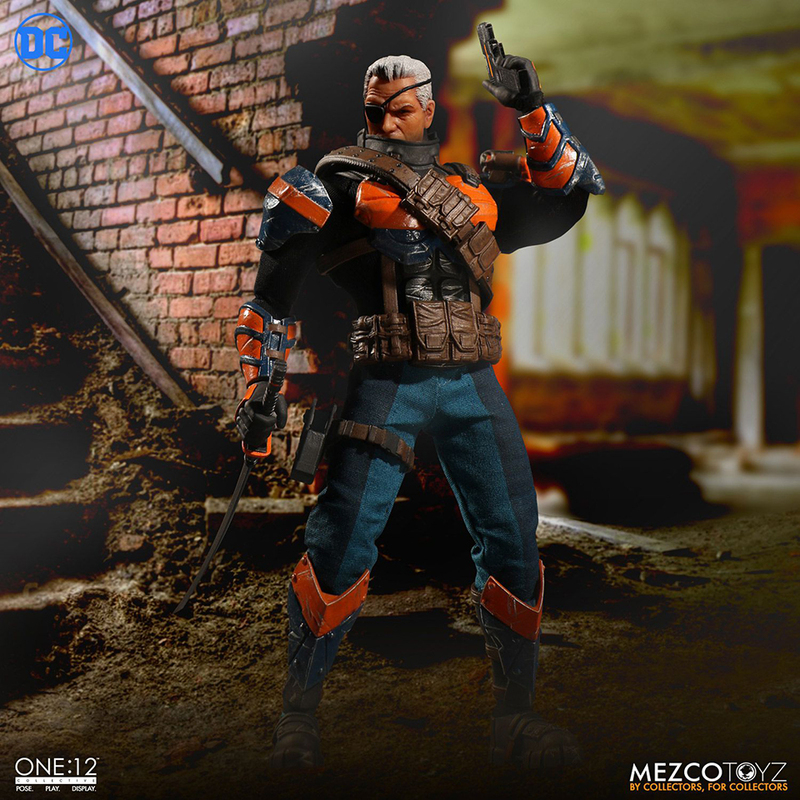 The Deathstroke action figure comes with two portraits – one masked and one unmasked – three pairs of hands, a sword with a sheath that can be attached on the figure’s back, a pistol with a removable clip and a machine gun with a removable clip. I’m not a fan of Slade’s color scheme, but that’s not Mezco’s fault. 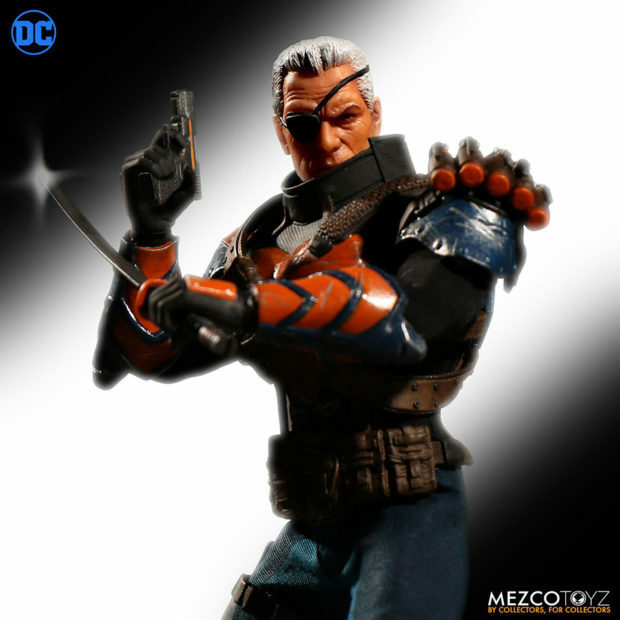 That said, the wear and tear on the figure seems great, and his unmasked portrait is badass. 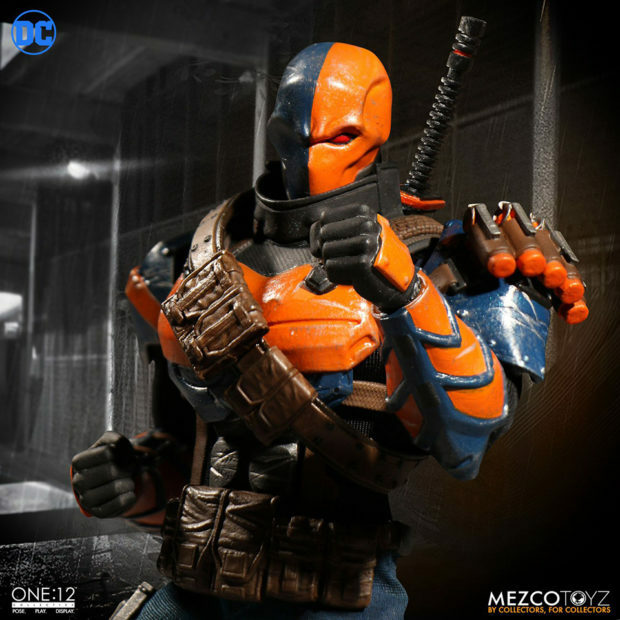 You can pre-order the figure now for $75 (USD).